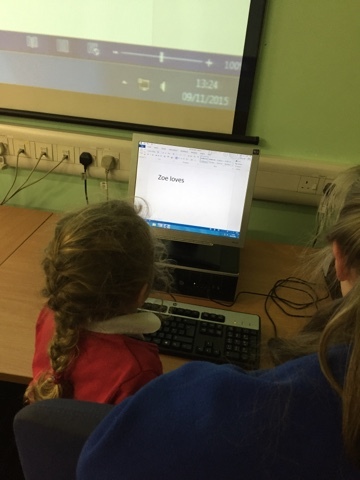 P1C – Super Swimming Zoë! 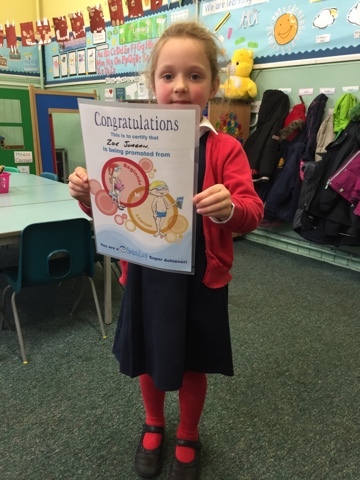 Well done to Zoë for moving up to her next swimming class! 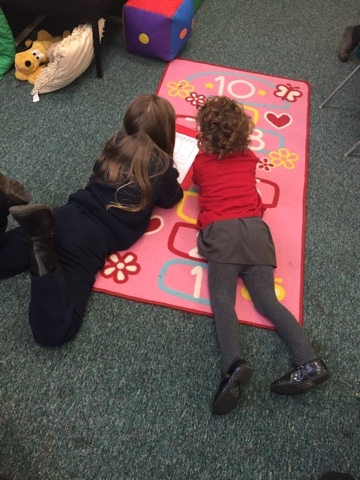 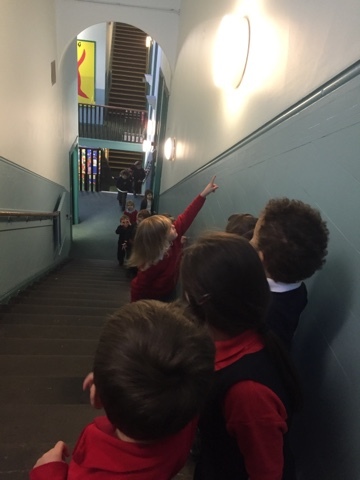 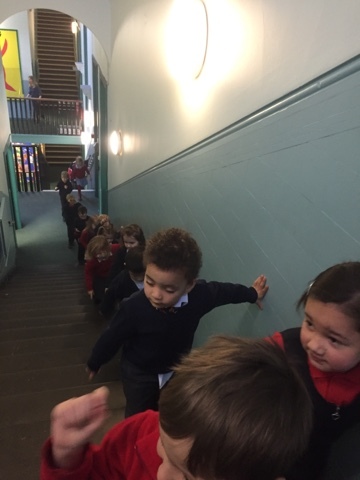 P1C – We’re going on a shape hunt! 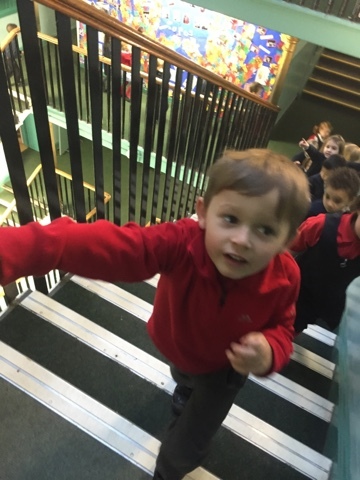 Today we went on a shape hunt around the school! 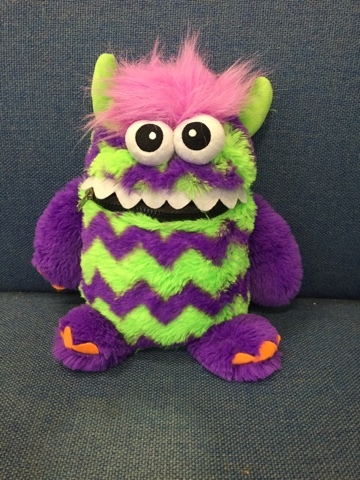 P1C has a new addition; meet Worry Monster – he eats all the worries away! 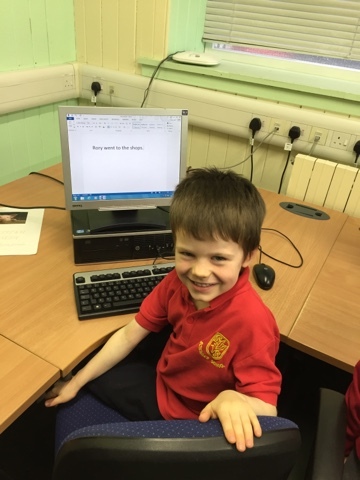 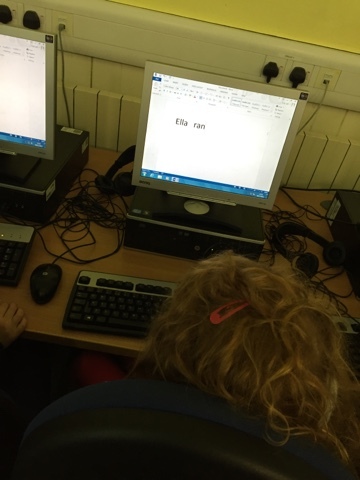 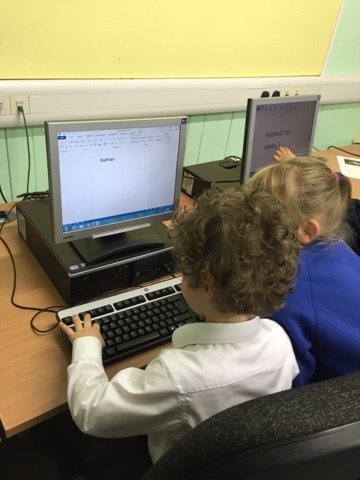 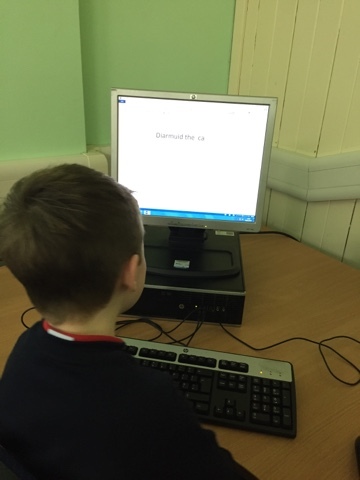 Today we all managed to open up Word to try typing. 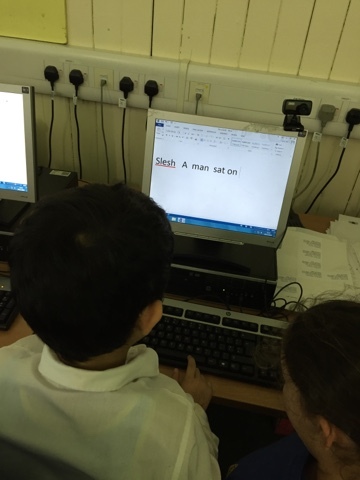 We were learning to make a capital letter, take spaces and go back a space. 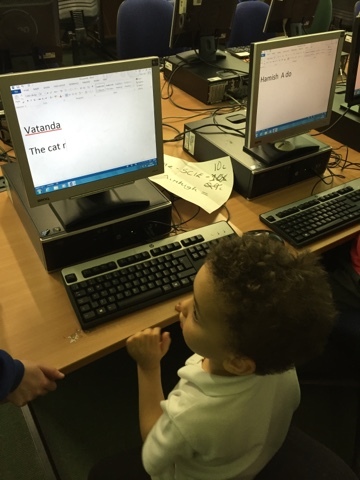 We wrote our names and then tried to write words and sentences – Miss Gladstone was very proud of our fabby work! 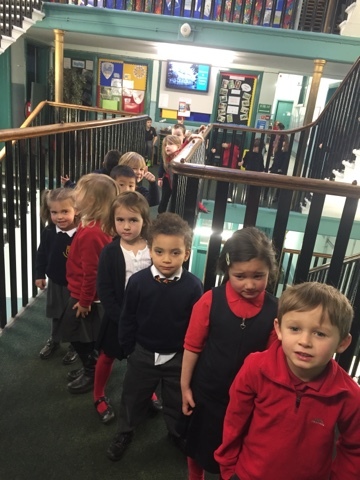 We met with our Buddies today. 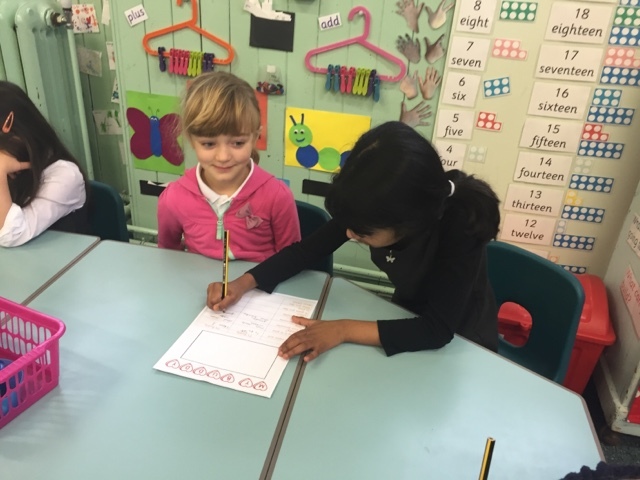 Together we completed a fun getting to know you activity! 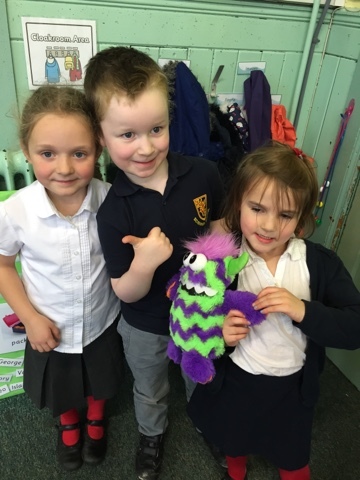 P1b- Winnie the Witch comes to visit on her tour of Scotland! 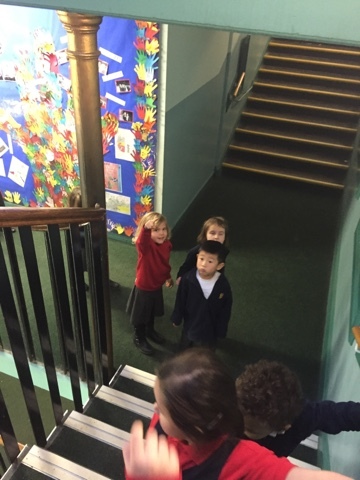 Winnie the Witch came to visit after we wrote about our visit to her house. 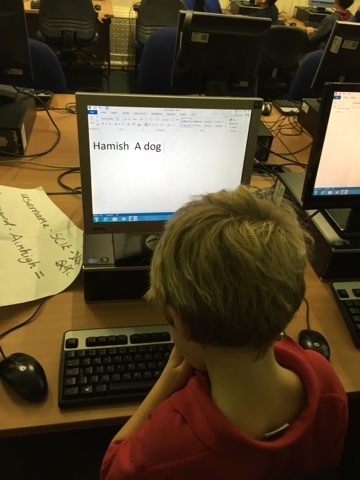 She left us a postcard from Loch Ness and said we could look after Wilbur for the week until she came back. 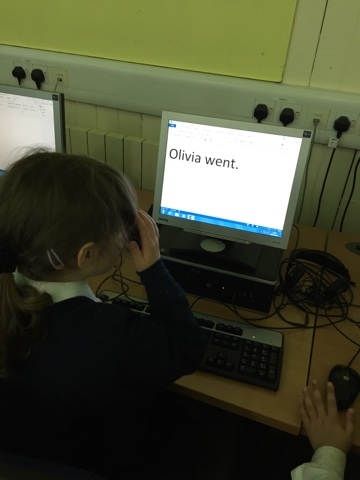 She looked through our writing and gave us all a special star! 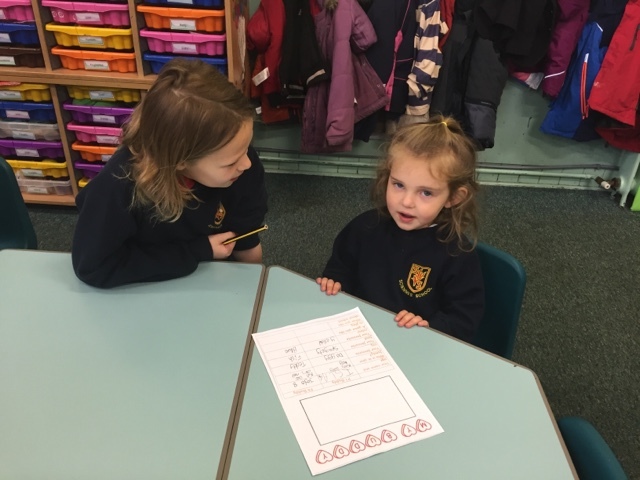 Bridget, Elizabeth and Daisy all wrote a lovely reply to her postcard. 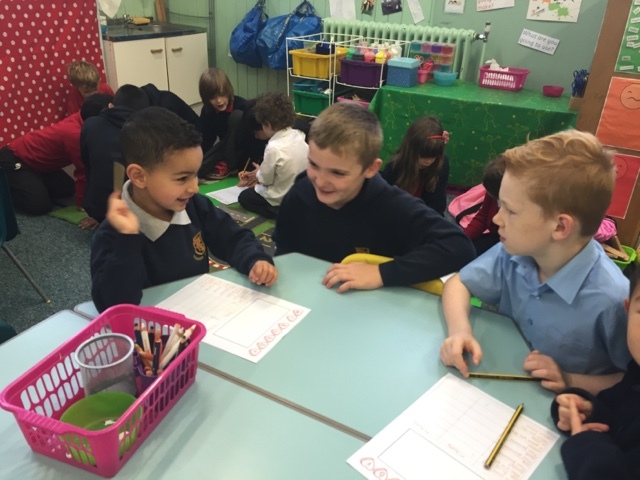 P1a and P1b get to know their P4 buddies! 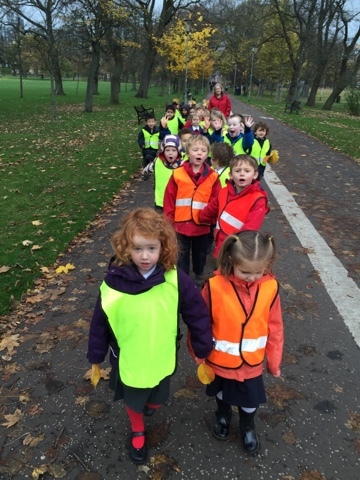 We had fun making Autumn Rainbows in the Meadows!